Give your high horsepower Coyote the clutch it deserves with this 2011-2017 Mustang 5.0 McLeod RST Twin Disc Clutch Kit! When adding power to your Coyote pick up this 2011-2017 Mustang 5.0 McLeod RST Twin Disc Clutch Kit to get that power to the ground! The factory clutch in your Mustang 5.0 can only handle so much power before it lets go from too much torque. 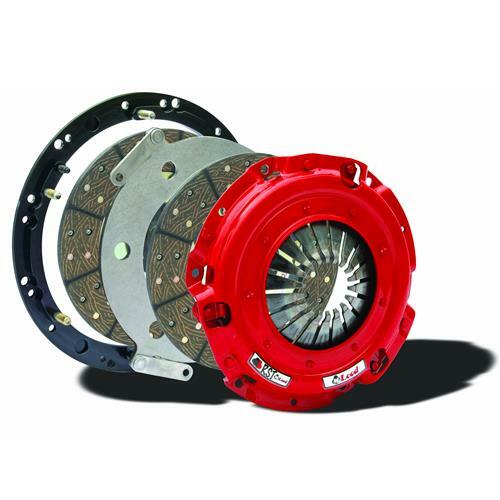 This twin disc clutch kit is designed to support up to 800 HP giving you the holding capacity you need! Constructed right here in the USA from 9 11/16" organic lined clutch discs that will provide smooth engagement with a soft pedal feel to make this RST clutch kit ideal for the street performance enthusiast! McLeod designed this clutch for the high horsepower street fan looking to get the best possible clutch and also be economically priced compared to other twin disc kits! -Must be used with McLeod Flywheel MCL-463458. McLeod Racing is a world renowned leader in the high performance automotive aftermarket clutch and driveline industry. Providing Mustang owners with high quality clutch lines, hydraulic clutch conversion kits, dual disc clutch kits, retainer tubes, and many other clutch and driveline products. 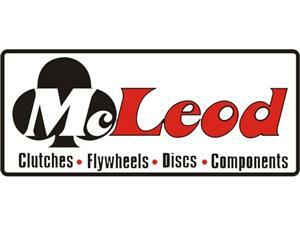 McLeod delivers superb customer service and top notch components. Pick up your McLeod parts at Latemodel Restoration and have your Mustang performing better than ever before!